Reebok can trace its origins back to 1895 with the design of some of the earliest spiked running shoes by Joseph Foster. A generation or two later, Foster’s grandsons formed the company Reebok, named after the grey rhebok antelope found in Africa. After some steady growth, things were kicked up a gear in 1979 when they were spotted at a trade fair by an American businessman and just a couple of years later they were selling millions of dollars worth of product each year. The rest is history and today Reebok is a huge part of people’s fitness regimes all over the world. Whether you’re into CrossFit, running, martial arts, yoga and beyond, there’ll be tailor made pieces of clothing to ensure your workout is better than ever before. With styles that range from classic minimalism, signature shoes from the world’s biggest stars and outlandish loud-and-proud designs, Reebok has all the bases covered. Sign up to Reebok’s newsletter on its homepage to get yourself a voucher! Where is my nearest Reebok store? You can search for your nearest Reebok store right here. Does Reebok have an outlet? Yes, it’s here and full of great deals on Reebok lines. Do I have to pay extra for Reebok personalisation? Usually you will do, but on the website you’ll often come across items with the note "free personalisation" on the product page. Can I get free delivery with Reebok? Yes, you’ll get this on orders over €50. You can return your Reebok purchase within 100 days of receipt to receive a refund. Item must be in original conditions and packaging. Personalised products are not eligible for return. The returns process depends on which carrier you shipped with, see here for full details. 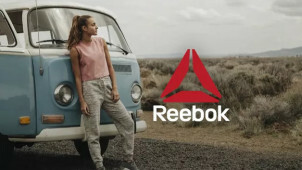 Reebok is a brand that needs no introduction — this is one of the planet’s most famous sportswear names, still riding high as a number one provider of training outfits, sports equipment and athleisure items. Use a Reebok promo code from vouchercloud on your next order and you’re sure to make a saving on its unique style and performance gear. Whether you’re a seasoned pro or just getting into the active lifestyle, you’ll find something here for you. You can choose from Reebok’s huge range of footwear, but did you know you can also design your own? If you’re the type of person who likes to go your own way and doesn’t care for “the rules”, you can design your own unique signature shoe and have it made to order. No longer will you have to follow what everyone else is wearing, now you can unleash your inner design talent for your feet and even share designs with friends too! For the ladies who like to train hard, check out Reebok’s range of tanks, with something for everyone whether you’re hitting the pavement, weights room or spin class. Purchase with a Reebok discount code from vouchercloud and you’ll make yourself a great big saving, so you can get back to exercising for less. With all sorts of special collections including Les Mills and CrossFit Games, you’ll find a tank or two that works for you.